On March 18, 2019, Mark Chalos of the national plaintiffs' law firm Lieff Cabraser Heimann & Bernstein, LLP announced that U.S. Army veteran George Dooley has filed a lawsuit in federal court in the Middle District of Tennessee against 3M (News - Alert) Company and Aearo Technologies for hearing loss and tinnitus caused by his use as an infantry officer, including in Iraq, of defective and unreasonably dangerous Dual-Ended Combat Arms™ Earplugs (Version 2 CAEv2). The complaint alleges that 3M and Aearo knew the Combat Arms Earplugs were defective prior to selling them, but falsified test results and misrepresented the earplugs' performance to qualify for a multi-million dollar contract with the United States military, leading to the hearing injuries sustained by George Dooley in training and on active military duty. 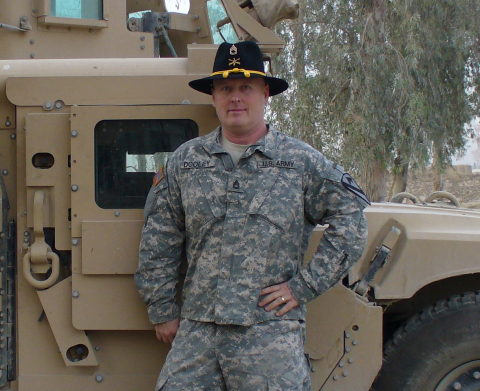 "As a combat veteran and active duty soldier, I trusted 3M's Combat Arms Earplugs to protect my hearing in dangerous situations, including while I was deployed in Iraq," said Dooley. "They broke that trust with me and thousands of soldiers. My fellow soldiers and I deserved better." As stated in the Complaint, 3M sold its Combat Arms Earplugs to the U.S. military for more than a decade, and the Earplugs were standard issue in certain branches of the military (including Mr. Dooley's) between at least 2003 and at least 2015. However, 3M did not inform the military or Dooley that the Earplugs were defective, and failed to adequately warn the military or Dooley that the Earplugs did not in fact meet the military's sound attenuation requirements, despite 3M's promises otherwise. Mr. Dooley used 3M's dangerously defective Combat Arms Erplugs at gun ranges and in military vehicles for years, including while deployed in Iraq. Since then, he has been diagnosed with hearing loss and tinnitus, after never before suffering from hearing injuries. 3M's Combat Arms Earplugs have likely caused thousands, if not millions, of soldiers to suffer significant hearing loss, tinnitus, and additional related injuries, like those of Mr. Dooley as described in today's lawsuit. "This is a breach of the public trust," noted Mark Chalos, a partner at Lieff Cabraser who is representing Mr. Dooley in his case. "George Dooley was deployed in the U.S. armed forces to defend our country. While protecting the U.S., Mr. Dooley was outfitted with allegedly defective combat earplugs, which led to irreparable hearing loss and debilitating, permanent ringing in his ears. These manufacturers did wrong by Mr. Dooley and our other brave soldiers." In July of 2018, 3M agreed to pay $9.1 million to resolve allegations that it knowingly sold the Dual-Ended Combat Arms™ Earplugs to the United States military without disclosing defects that hampered the effectiveness of the hearing protection device. The Earplugs are non-linear, or selective attenuation, earplugs designed to provide soldiers with two different options for hearing attenuation depending on how the plugs were worn. Both sides of the dual-sided Earplugs were purported to provide adequate protection for soldiers' ears when worn. If worn in the "closed" or "blocked" position, the Earplugs are intended to act as a traditional earplug and block as much sound as possible. If worn in the "open" or "unblocked" position, the Earplugs are intended to reduce loud impulse sounds, such as battlefield explosions and artillery fire, while allowing the user to hear quieter noises such as communication by fellow soldiers or enemy combatants. When inserted according to Defendant's standard fitting instructions, the edge of the third flange of the non-inserted end of the Earplug presses against the wearer's ear canal and folds back, thereby loosening the seal in the ear canal and providing inadequate protection. Because the Earplugs are symmetrical, the standard fitting instructions will result in a loosening of the seal whether either side is inserted into the ear canal. The Earplugs were originally designed, tested, manufactured, and sold by a company called Aearo Technologies, which was acquired by 3M in 2008, including Aearo's liabilities (and leaving 3M liable for Aearo's conduct as alleged in the Complaint). Mr. Dooley was diagnosed with tinnitus when he retired from the military in 2008. Dooley also suffers from hearing loss. Hearing loss and tinnitus have had a significant effect on Mr. Dooley's enjoyment of life. The constant ringing in his ears interferes with his everyday conversations and affects his sleep. He has to constantly talk loudly, have the TV playing, or have other noise on so he can cope with his tinnitus. The lawsuit states causes of action for negligence, strict liability for defective design under the Tennessee Products Liability Act, T.C.A. § 29-28-101, and strict liability for failure to warn under the Tennessee Products Liability Act, and seeks damages as well as a commitment by the Defendants to appropriate injunctive or equitable relief, including internal reforms aimed at (1) identifying the root causes of the multiple decisions that led Defendants to knowingly disregard the results of their internal testing, to falsely certify the Earplugs as safe and effective, to fail to provide adequate warnings or proper fitting instructions, and to conceal the risks associated with the Earplugs for over a decade; (2) identifying corrective actions and institutional culture changes to address those root causes; and (3) implementing and tracking those corrective actions to ensure these failures do not happen again. Mr. Dooley's counsel also includes Lieff Cabraser partners Wendy R. Fleishman and Fabrice N. Vincent. Recognized as "one of the nation's premier plaintiffs' firms" by The American Lawyer and as a "Plaintiffs' Powerhouse" by Law360, Lieff Cabraser Heimann & Bernstein, LLP is a 90-plus attorney law firm with offices in San Francisco, New York, and Nashville. Our firm has successfully represented tens of thousands of injured individuals in complex and mass tort litigation, and thousands of patients across America in individual lawsuits over the injuries they suffered from defective medical devices and dangerous prescription drugs. Five times in the last eight years, U.S. News and Best Lawyers have named Lieff Cabraser as their "Law Firm of the Year" for representing plaintiffs in class actions and mass torts.